Her sweet die set is the focal point of the holiday card. The colors chosen for the card are not-so-traditional- but I really like how it turned out. 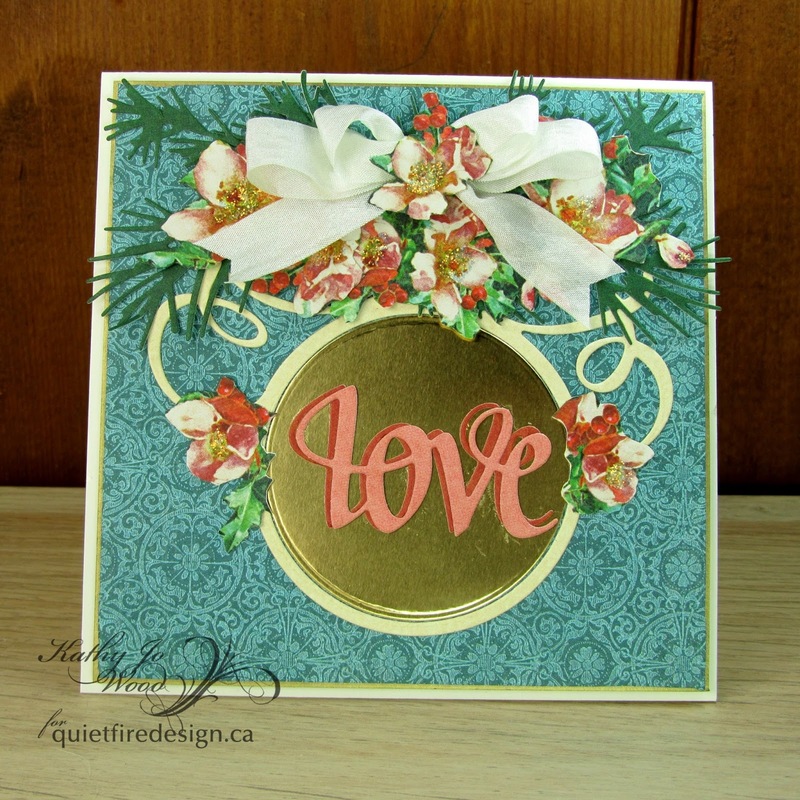 The pink and light red "love" die cuts look fabulous against the gold ornament. The blue background is a nice contrast and allows the "love" to pop! 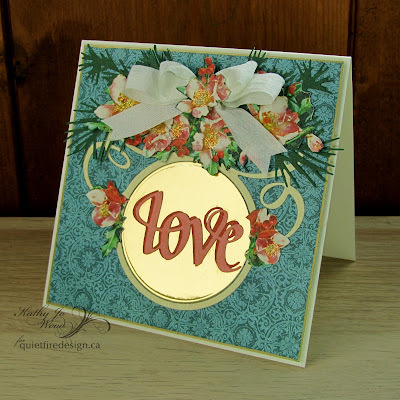 Create a 4.5" x 4.5" top fold card from ivory card stock. 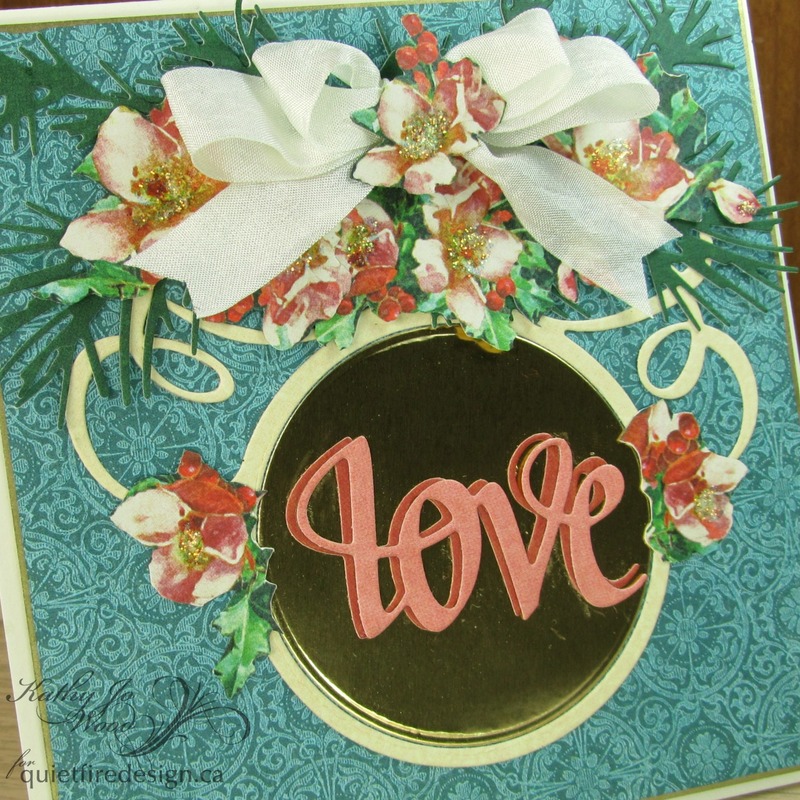 Cut blue patterned paper smaller than card base and apply gold marker along edges. Mount using double sided adhesive tape. Die cut ornament from ivory card stock and gold construction paper. Mount using liquid adhesive. Die cut "love" from pink and light red paper. Offset mount using liquid adhesive. Fussy cut flowers and holly from patterned paper. Die cut evergreen sprigs. Layout flowers and sprigs onto card. When satisfied with the layout, adhere all layers using liquid adhesive. Create double bow from ivory ribbon. Mount using liquid adhesive. 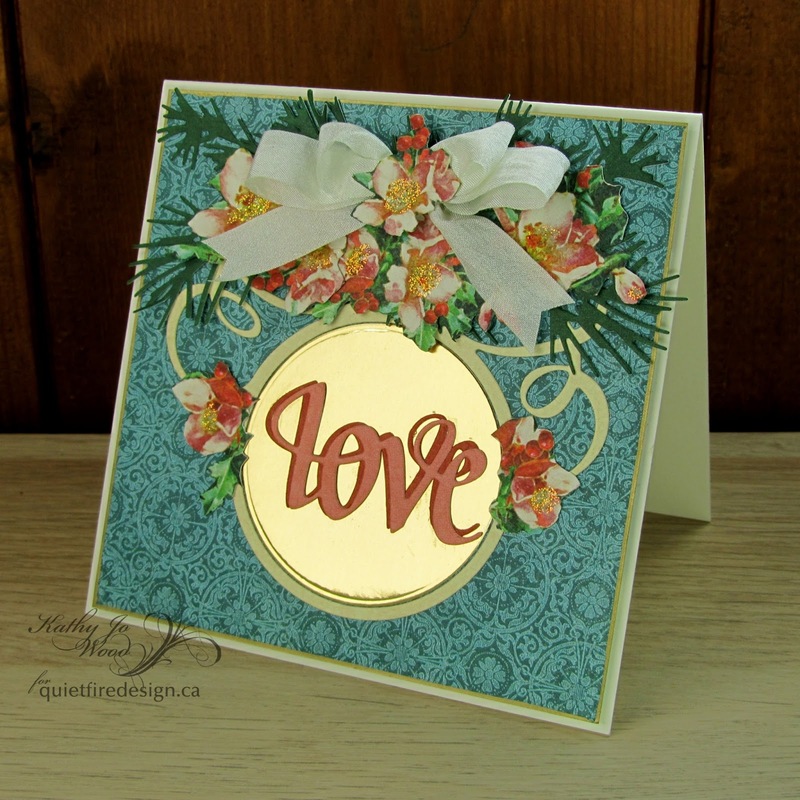 Mount fussy cut flowers to bow center with liquid adhesive. Apply glitter to flowers as desired. 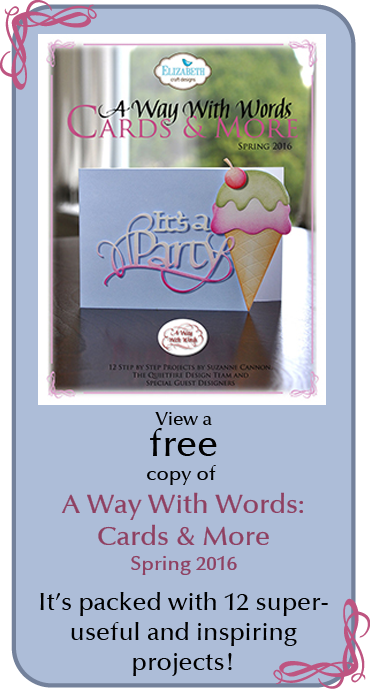 Take a look at your happy, holiday card and smile. Admittedly, after I made this card I had difficulty putting the die set away! I ended up making four more- and totally different- cards using the die set. It really is a great set and, I think, a must have for die cutterers! I would love to see your project using Suzanne's new dies or stamps! Feel free to share a link in the comments below.